Materials Used | My Kids' Entertainment-We specialize in creating smiles! My Kids’ Entertainment is proud to use only high quality, water based paints. We only use materials that we would feel comfortable using on ourselves or our children! 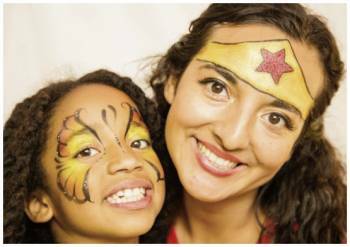 The skin of a child is very sensitive, and using the proper face paint supplies will ensure any allergic reactions or adverse affects can be avoided, making for happy kids and happy parents. Safety and good hygiene practices are very important to us. Did you know that the face paint that we use is not even really paint? It is cosmetic grade makeup, similar in quality to what you would find in theatrical makeup. Always take great care in selecting the products that will be used on your child. We often see painters using craft, acrylic and/or poster paint on children, and while these are labeled non-toxic, they are not approved for use on the skin. These kinds of paints, not specifically made for skin, can cause serious allergic reactions to the skin including burning, redness and irritation. Some craft paints can also stain skin. 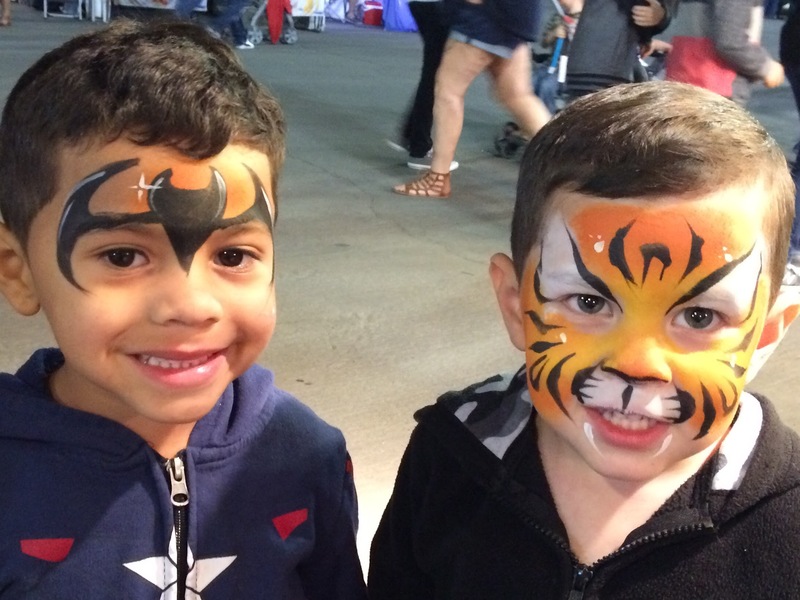 Water-based Face Paints are easy to use, dry quickly and wash off easily with soap and water. You can learn more about safety and removal, by clicking here.